Halloween is over and I was so fascinated on just how popular it was this year, with kids actually trick or treating in the piazzas and around the center of Florence. Impressive! While we opted for a house party with friends, the beginning of November has started with sunshine and nice weather, so let’s cross our fingers that it lasts. This is actually quite a big month for me. Some of you might know that I am getting hitched (yay) to my Frenchy/Florentine the end of this month which means I am going to be super insanely busy trying to finish up work before wedding/honeymoon in Thailand (send us tips if you have them – we are going to Bangkok, Chiang Mai and the islands). Rather than turning on any sort of bridezilla attitude, I actually feel quite calm which surprises some of my friends. We did as much as we could to plan #MyTuscanWedding as best as possible (in the sense that Nico, my future other half knows how to use excel and actually did 50% of the wedding planning alongside me) so now let’s just enjoy the ride. I am planning on plenty of posts after the wedding and compiling a handy e-book for future brides coming to Tuscany to get married so watch this space! For those of you coming to town this month, revel in the fact that is a slower season but typically quite nice, with weekend markets filled with locals and chestnuts roasting in the city streets. I really adore autumn and the lead-up to Christmas here so follow my instagram for further in-the-moment updates around town ( I was in a rush this morning but I will update this list extensively tomorrow). Remember, I update this list throughout the month so check back periodically. Also for those looking for foodie dinners/brunches they can join, catering company Zenzero offers a fun list of events on their facebook page. The city woke up to the fact that offering a day of free art to people can be a really positive and inspiring move so currently the first Sunday of every month, you can visit civic museums for free, including the Uffizi gallery and Palazzo Pitti, you can browse the entire list of places here. My advice is to get a coffee at Cafe’ Giacosa or Ditta Artigianale and have an artsy-fartsy Sunday before hitting up the Sunday market at Anderson Cafe near piazza santa croce. Want to practice Italian or another language? You can do that too in a tandem “break-off” groups during happy hour at La Cite in Borgo San Frediano Let them know what languages interest you. 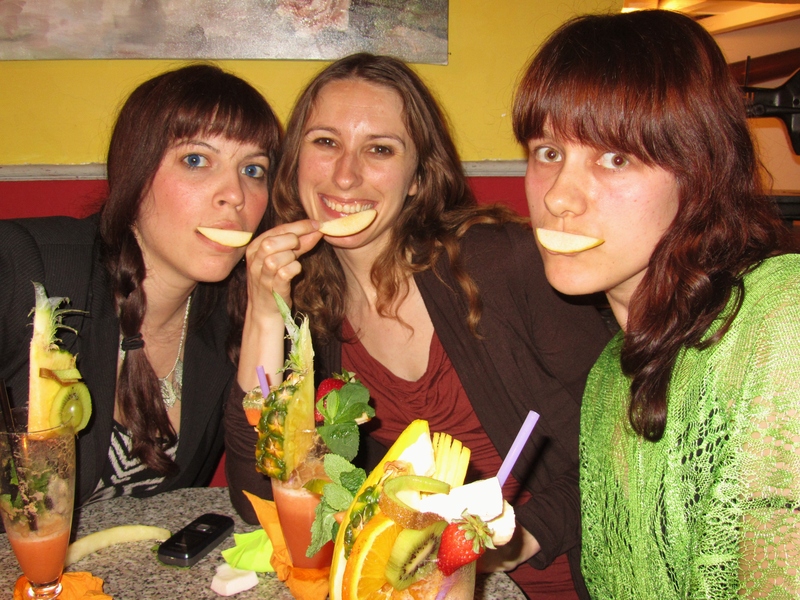 Regular happy hours every Wednesday at 7:00 pm at La Cite’. The price is €10, including wine and food. Write speakeasyenglishfi@gmail.com for more information, including about other special events. Heyart Association, in collaboration with the brand-new family friendly Andersen Café in Florence, will host a Sunday market featuring artisans and handicrafts at the new concept- bar that pays great attention to design and art. The plan is to host this event monthly, to help bring attention to local handicrafts and bring people together. 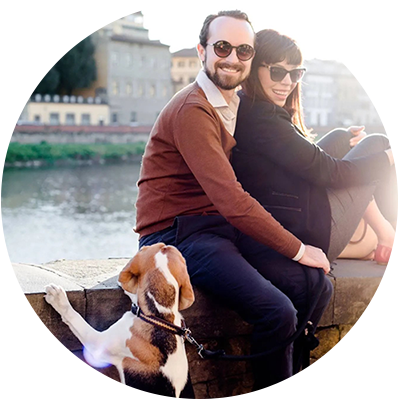 You can also enjoy a rich brunch or aperitivo at the cafe, but it sounds like these new owners really get the idea of bringing people together to showcase the best of Florence, I am curious and intrigued! The market is open to the public, 10am-8pm, more details here. MADE IN ITALY | FLORENCE CREATIVITY FESTIVAL – FORTEZZA DI BASSO, Until NOVEMBER 1, 9:30 – 7PM. 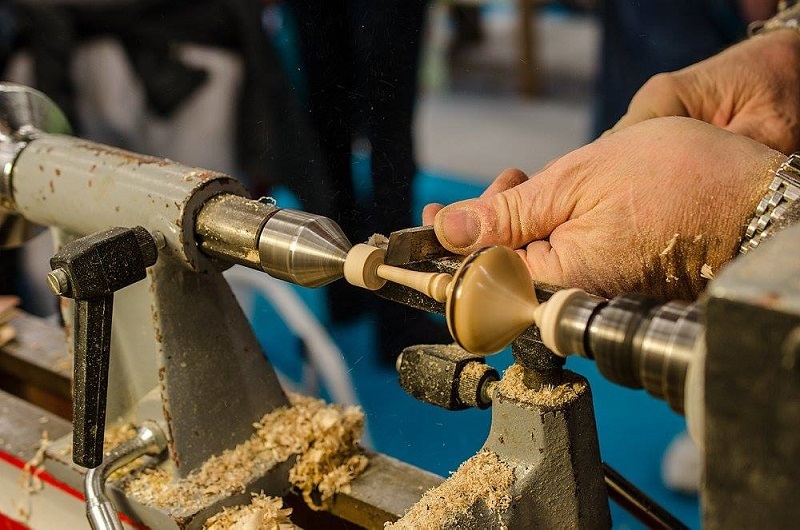 Calling creatives, a fair dedicated to made in Italy artisans is coming to the fortezza di basso at the end of this month. Stands including home decor, cake design, scrapbooking with a ‘bohemian marketplace’ theme. A fun activity to kick off the month! See more details here. Shares stories, meet people – embrace your inner writer or poet. The first Wednesday of every month is Open Mic night at the lovely Tasso Hotel (which is a place us locals adore). Anyone can come, so if you are shy and don’t want to talk, that’s ok too! Just grab a glass of wine and listen to the others.This month’s Open Mic will be hosted by David Orr. David has lived in Florence for six years. He designs software for banks by day, and writes at night, or any other time that isn’t work. To sign up in advance email daveyorr@gmail.com, otherwise fold your latest story into your pocket and make a game-time decision, just COME OUT – all are welcome! More info is on their event page here. address: 15 Via Villani, 50123 Florence, Italy. Snow Sport | Toscana Winter Park is back, Until March 6th, 2016. This special market will be selling a variety of organic goods including (I believe) wool from San Martino ;-). You can read more here and I am guessing it is yet another excuse for a lovely market in one of the city’s best squares. La Serra MK Textile Atelier presents its collection of lampshades in ethnic-style, floral and Moroccan. All lamps are unique pieces. The location of this presentation is the fabulous and eccentric shop PATTI & Co. Saturday, November 7 from 18:00 onwards, address: Via de’ Federighi, 10 r – Firenze, event page. Another excuse to eat, drink and be merry with for both industry experts and the public alike. This November Food And Wine In Progress is hosting a food fair from the 8th to the 10th. address: via Fratelli Rosselli 5 (walking distance if you go towards porta al prato). The full program of events can be seen here and can I just tell how excited I am over the cocktail mixologists? Yes please! € 20 entrance and only €5 for students. Movies | 50 Days of International Cinema, Starts October 29th – December 13th Odeon cinehall. ‘50 Days of International Film’ features nightly showings of entries from 10 international film festivals in downtown Florence. Founded in 2007, this festival provides a place for films to be screened that are not normally accessible to the general public. Throughout the festival, various producers, actors, and directors will speak and give awards to further enrich the cinematic experience. Movies will be in the original language with English & Italian subtitles. This year they even have a special app helping everyone navigate the process and you can find all of the info & programs here. The Odeon is the most gorgeous cinema in Florence and personally I think this festival is very well done. Check out the program and more info here. Every day it will be open from 9am – 7pm. Keep in mind that they are selling a combined ticket for this museum, the Baptistery, Belltower, Cupola for €15. Website details here. They also keep a fun instagram account that features nice Duomo shots if you use the tag #museoduomofi. Always a fun time and a great way to feel like a local. For all of you soccer fans there will be a few chances to attend a game this month, first on Sunday November 1 at 3:00 pm, Fiorentina vs. Frosinone, an Italian league match. Next up is Sunday October 25 at 3:00 pm:Fiorentina vs Empoli, an Italian league match. Address: Artemio Franchi stadium, viale Manfredo Fanti, 4. Get your tickets in advance here. Tours | November, 7th, 14th, 30th, November Walks + Talks‏ With Alexandra Lawrence. 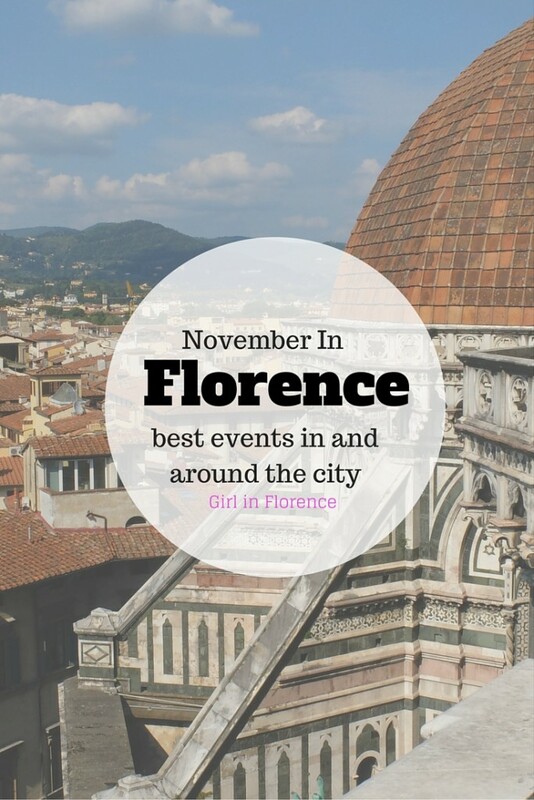 If you happen to be in Florence during the month of November (December) I highly recommend booking one of these tours. Not only is Alexandra a fascinating tour guide, she is so much fun to be around. 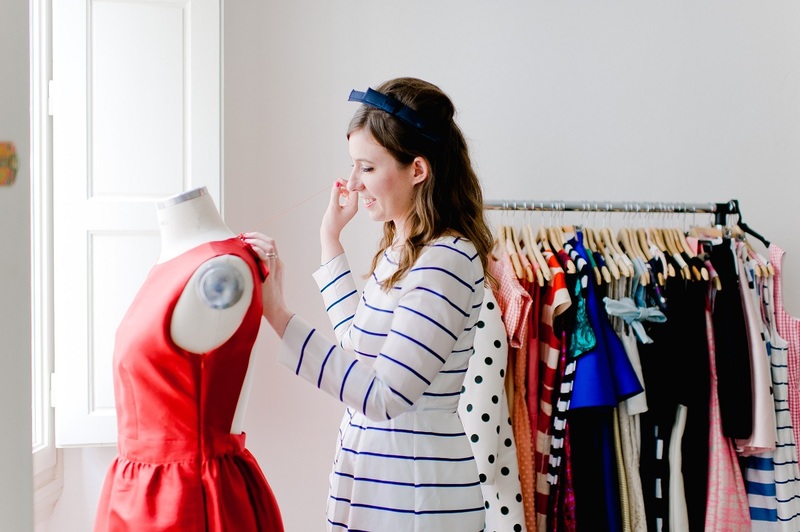 Email Alexandra at exploreflorence@gmail.com to nab a spot as they tend to go quite quickly. The summaries below are in her own words. One of Florence’s most innovative spaces, the Laurentian Library is often considered the defining example of Mannerist architecture, where the simple becomes complex. Michelangelo designed the entire space and it is his first most completely realized architectural feat. We will explore the vestibule and the reading room, with a particular focus on the building materials, the artist’s relationship with his papal patron, and the legacy the library left when it came to constructing similar spaces all over Europe. We will also explore the exciting exhibition celebrating the 750th anniversary of Dante’s birth, which features several illustrated manuscripts of the Comedy dating from the 14th to the 16th centuries. Following the visit, we will have some fun doing some contemporary design of our own guided by master calligrapher Betty Soldi of And Company! Due to the workshop afterward, this event is limited to 12 people. Founded in 1266 by Folco Portinari, the Spedale di Santa Maria Nuova is one of Florence’s most intriguing and often overlooked historical spaces. During our visit we will have exclusive access to the cloisters and other spaces typically closed to the public, as well as to the incredible matroneo (women’s balcony) inside the church of Sant’Egidio, used by the Oblate nursing nuns housed in the convent across the street. Due to the small size of many of the spaces, this visit is limited to 10 people. Because Santissima Annunziata is one of the city’s most beloved churches—and one of the only sacred spaces that still offers hourly masses every day—we will be visiting during the lunch hour while the basilica is typically closed to the public. The primary focus of our private visit will be the Giambologna Chapel, the 16th century burial space designed and decorated by the famous Flemish sculptor and his followers. 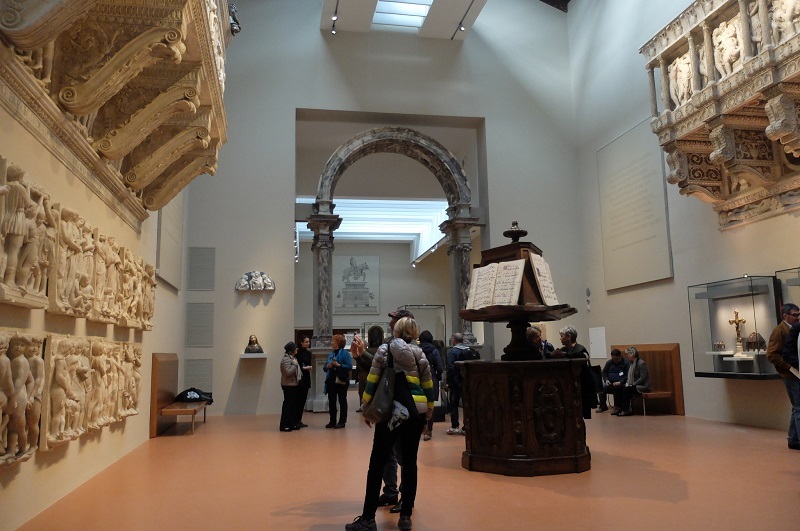 The chapel, its sculptures and its paintings are the object of an intensive restoration project currently underway, which is being financed in several innovative ways. During our visit we will be in the company of the director of the non-profit, Elisa Bonini, who will show us many of the works currently under restoration. We will also have the unique opportunity to see the Cappella dei Pittori, whose crypt houses the remains of several 16th century artists, including those of Jacopo Pontormo. The visit will culminate with a look at the intensely moving bronze crucifix by Giambologna, recently restored thanks to patrons of the Friends of Florence. This special visit is limited to 15 people maximum. Palazzp Belfiore is a very special place that many of us locals adore because they really take the time to organize community events. This event is a way to introduce people to ‘life like a local’ inside the Belfiore apartments with a variety of activities. During the event, confirmed guests can participate in various experiences offered by local artisans and businesses by walking around the Palazzo Belfiore apartments. Each of the apartments will be open for guests, where they can appreciate their unique ambiance, comfort, and layout and are welcome to enjoy one of the Live it Local experiences there, such as a receiving a relaxing shiatsu massage, trying a mini yoga class, tasting some fine chocolates while sipping a glass of good wine or a warm cup of specially-blended tea, or nibbling a sample of a local restaurants’ specialties– all kindly offered to guests by our collaborators & friends. There are many translators that live and work in Italy and are planning to meet on Saturday, November 14th to talk shop and drink coffee at a nice little cafe in the center of Florence. address: via dei fossi 15rosso. Oktoberfest! | TF Beers and Bites, November 14, time 5-8pm, Vinoutlet and Goong, Borgo Ognissanti, Florence. The Florentine magazine is collaborating with Vinoutlet to bring us some Bavarian Flavor to one of my favorite roads in town, Borgo Ognissanti. There will be a craft beer tasting, Korean delicacies from Goong and much more. Wear your best beer-fest German garb and you just might win a prize! For more information, email events@theflorentine.net, people are welcome to come and go as they please. As you know ever third Sunday in piazza santo spirito is a special organic market where you can pick up all sorts of awesome foodstuffs made by local producers around the region. It’s really one of my top favorite markets in the city. This month is quite special because for those without a car to visit farms around Tuscany, you can come here to buy fresh olive oil that is so amazingly good, it should be UNESCO (my opinion). Around 9am to sundown. Taken from Creative People in Florence. The Gabriele Borgogni Association, The Claudio Ciai Foundation and The Lorenzo Guarnieri Association join together to present an art exhibition, a charity auction featuring twelve original artworks which reinterpret street signs, and the launch of their official 2016 calendar. More info here. Tepidarium del Roster (Giardino dell’Orticultura), Via Vittoria Emanuele 17, Florence. Three non-profit organizations based in Florence have come together to for the project Segnali d’Amore/Signs of Love, an artistic initiative whose aim is to raise funds to support victims of traffic accidents and their families. The project will be officially launched with a free aperitivo on Saturday, November 21 at 6pm at the Tepidarium del Roster (Giardino dell’Orticultura) in Florence. The event will also continue the following day from 9am to 6pm. For the exhibition Segnali D’Amore, twelve Florence-based artists have been invited to create an original artwork reinterpreting street signage. These works will be exhibited at the event and included in the official 2016 calendar of the three organizations. During the opening event all art works as well as other specially designed items will be for sale in a charity auction. Party | Bring on the ‘2,00o’s’ Dance Party At Viper Club, November 21, 10pm – 4am. I am a product of the 2,000’s and why not celebrate the music (think Shakira, Eminem, Gwen Stefani) that us born in the 80’s remember so well. address: Via Lombardia ang. via Pistoiese. If you book ahead, you’ll pay only 9.5 €, otherwise it’s 10 € directly there. Facebook event. Books, arts and crafts, homemade goods. All are welcome to the annual Harold Acton Library Christmas Fair. Tea and cakes will be served. They have a delicious Fortnum & Mason food hamper to be won and you can also win a beautiful handcrafted jewellery box by Anne Hepper. Tickets to win these luxury items are on sale at the library. Why not buy a library membership as a gift for Christmas? Library gift vouchers will be on sale during the fair. All proceeds will go towards the Library. 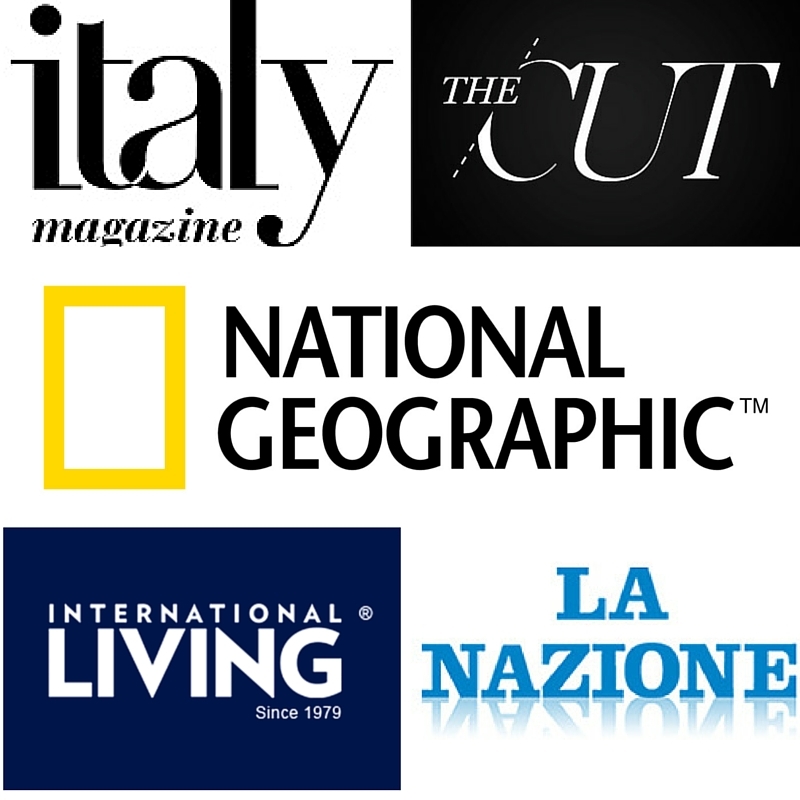 address: Piazza Strozzi 2 & Lungarno Guicciardini 9, 50125 Florence, Italy. Marathon | Firenze Marathon, November 29th. 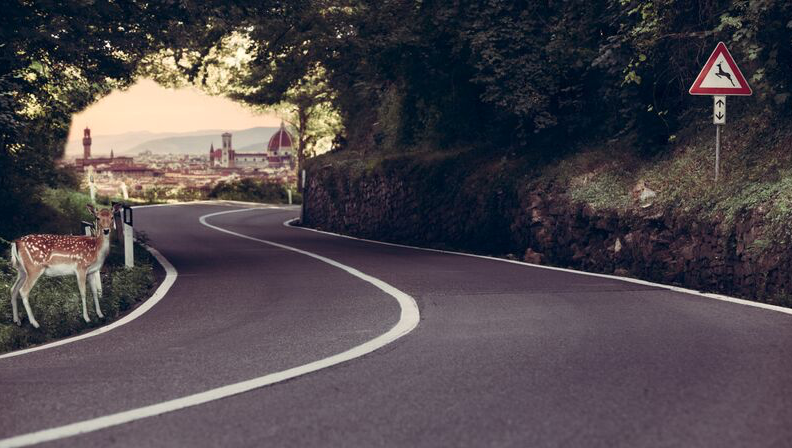 In its 32nd year and the second most important marathon race in Italy, the 42 kilometer route takes you by all those landmarks of singular beauty that have made Florence famous worldwide: views over the enchanting hills and countryside, and passing right by the Duomo Cathedral, Piazza della Signoria, Ponte Vecchio, before entering the majestic Piazza Santa Croce. Official site. 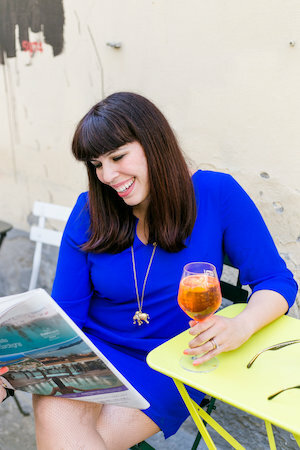 I will be adding to this list soon, but in the meantime, check out this fantastic roundup by my friend Valentina of TooMuchTuscany. Antiques | Fiesole Antiques Market, First Saturday and Sunday of the month, Piazza Mino da Fiesole, 8am to sunset. Take the number 7 bus from piazza san marco to head to the Etruscan hill-top town that is only a 25 minute bus ride from the center. Not only is a prime spot for panoramic views, hiking and picnic lunches on a nice day. The first Saturday and Sunday of the month, they host an antiques market in the central square. 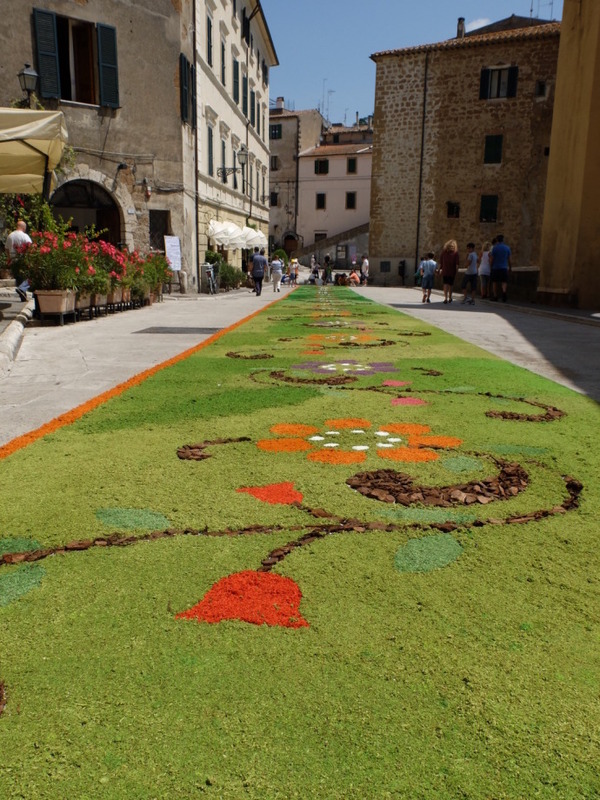 We are all obsessed with new oil and find out why by visiting one of the fun, traditional events in the Tuscan countryside. You can taste local products, listen to live music, and have a grand ol’ time. The full program can be seen here. 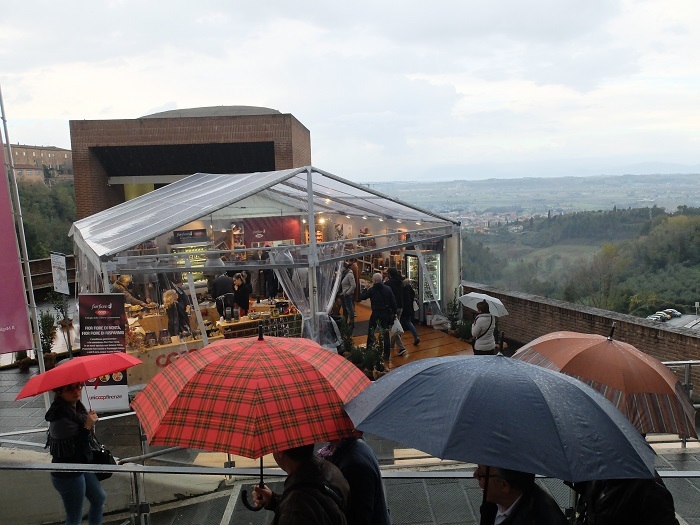 The Mostra mercato nazionale Tartufo Bianco di San Miniato is huge deal in the truffle world, and the kicker is, it is easy to reach San Miniato by train or bus. The white truffle fair features stands selling truffles, truffle-made goods, wine and food all around the beautiful town. I went last year and had a great time, we even bought our first truffle. official website here. Ciao Natalie, I seriously cannot believe how quickly time is passing. I am a little nervous to get everything done in time but I am excited too, what’s meant to happen will happen ;-). Have a wonderful November yourself! I wish you the best for your wedding! I guess everything is allready organizza, but if you maybe still need music for the ceremony: I am an Opera Singer (soprano) and live in Arezzo. Let me know if you are interesse! All the best! Ciao Dorothee how kind is that of you! We do have everything organized but I thank you for your very kind offer. Georgette!! Fab roundup as always!! Thanks for including The Florentine’s event with Vinoutlet and Goong… if you want to update it, the hours are confirmed now: 5–8pm! People can pass by as they please. Come and go or come and stay! Hope to see you soon m’dear. Ciao Mary! Thank you :), You know I love you guys so feel free to send me any TF themed events, this one sounds fun too, I might need to join for a little Bavarian fun. I’ll update the event, thanks for letting me know! Let’s get coffee soon! 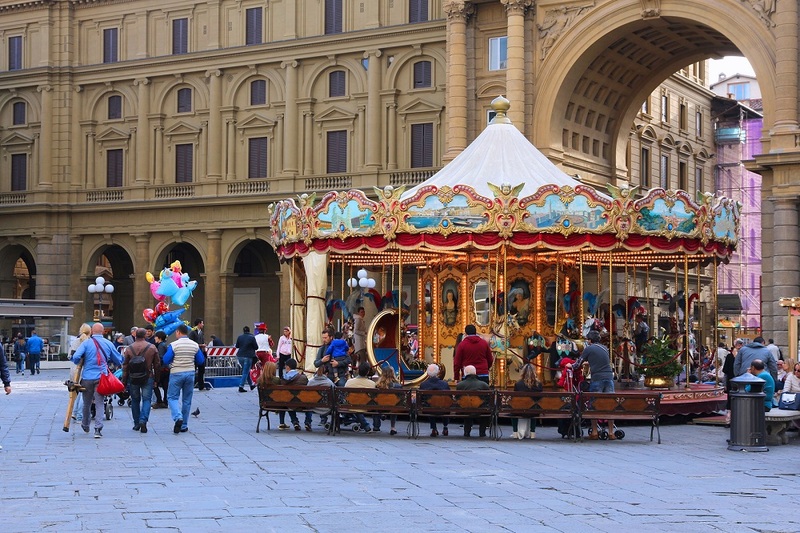 Great work, updated and complete – next time our students complain about lack of activities in Florence, will send them to this blog…! I really enjoy your roundup of events…well done and very informative. And, congratulations!! I’m looking forward to seeing your wedding photos. I wish you and your new husband all the best. Applausi per una bella vita insieme….